We look forward to meeting you at the Melbourne Connect EXPO in 2016 (19th -20th of April 2016). The most important business technology exhibition in Australia where over 7,000 visitors meet 200 exhibitors. 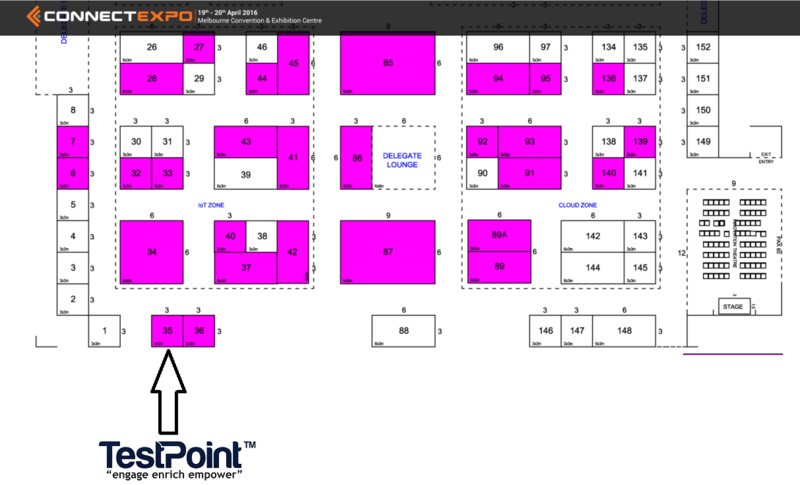 You will not be able to miss TestPoint at the event. We will be greeting you near the entrance. Located at 35 (near the entrance) see the floor plan shown below. TestPoint will be sharing some of it’s latest technology and innovations. Both Fadi Hawli (CEO), Hala Talanoa (Principal Consultant) along with our Consulting/Innovation Team will be excited to meet you at the exhibition!